Waratah Forestry Equipment is proudly celebrating 45 years of innovation and serving customers in the forestry industry. The company pioneered mechanized harvesting with first-class products paired with unparalleled customer support. Established in Tokoroa, New Zealand in 1973, the company transitioned to meet local loggers' heavy-duty delimbing needs creating a delimber-feller-buncher featuring a four-roller fixed head. Following that innovation, a red grapple processor for the Canadian markets marked the beginnings of the 600 Series and solidified its place as the original red head in the industry. "We're dedicated to serving loggers across the globe," said Heather Robinson, general manager of worldwide distribution, Waratah. "As an industry leader and the manufacturer of the original red head, we're in a unique position to offer customers experience, expertise and innovation. We're excited to celebrate the past 45 years and look forward to the next 45." "Waratah is based on quality, innovation and many years of experience," said John Alemann, general manager, Waratah, New Zealand. "With 45 years under our belts, we are able innovate better and use our expertise to push the envelope." TimberRiteTM H-16, Waratah's measuring and control system, is another recent innovation. This system provides unique versatility with configurable settings for improved head performance, productivity and measuring accuracy. 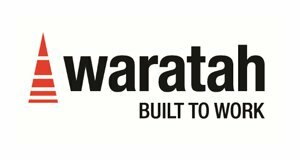 In addition to the TimberRiteTM H-16 system, Waratah developed WaratahMateTM - a phone app that works with TimberRite to wirelessly share the machine's production data in real-time. Developed exclusively for Waratah customers, the new app makes it faster and more reliable to send measuring system data back to the company. "We've got a huge legacy in this business," said Alemann. "We are looking forward to developing and providing opportunities that will keep our customers ahead of the competition."